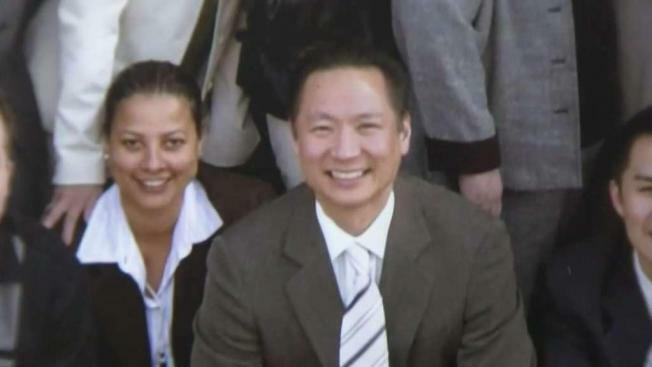 One month after his unexpected death, San Francisco Public Defender Jeff Adachi’s autopsy report reveals he had a trace amount of cocaine in his system. Jean Elle reports. 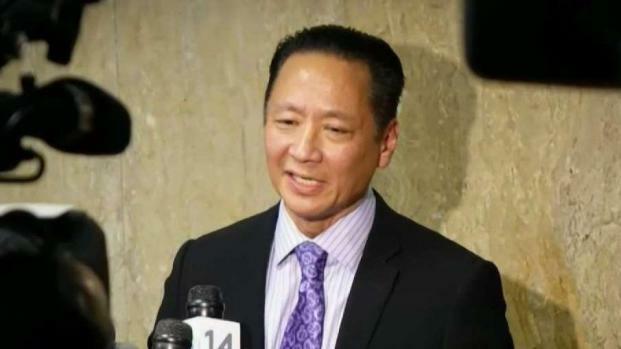 San Francisco Public Defender Jeff Adachi died last month from the toxic effect of cocaine and alcohol on his already diseased heart, according to autopsy findings released Friday. While only traces of alcohol and cocaine were found in his blood, Medical Examiner Dr. Ellen Moffatt concluded they were enough to overstress Adachi’s heart, which was significantly weakened by hardening of the arteries. Alcohol measured blood alcohol was .01 percent and Dr. Moffatt said the amount of cocaine in his blood was “too small to quantify.” The official cause of his death was ruled an accident due to cocaine and alcohol toxicity, with heart disease a contributing factor. Moffatt’s notes confirmed that police finally were able to speak to Catalina, the Colombian national who called 911. Authorities were later unable to locate her for several weeks. San Francisco Public Defender Jeff Adachi died from tiny amounts of cocaine and alcohol in his system, stopping his already diseased heart, according to a report released Friday by the San Francisco Medical Examiner. Jean Elle reports. The woman, according to Moffatt’s notes, recounted how Adachi “seemed to be in his usual state of generally good health” when they dined February 22 at 4 p.m., at a restaurant in North Beach. The woman said he had a glass or two of champagne with dinner, but soon began to suffer stomach pain and became sweaty. He asked his companion to pay the check so they could leave, the woman told authorities, but he refused to go to the hospital. They took a ride share back at the apartment where the two were staying, the woman told authorities. Adachi again refused to go to the hospital, saying his pain had happened “a few times” before and had gone away. Once in bed, she said, he was still sweating and suffering severe pain in his abdomen. He asked for an antacid but she ended up giving him Advil and then going to the store to get the antacid. Adachi soon was unresponsive and she called 911 at 5:43 p.m. The woman performed CPR at the apartment, as instructed, and he still had a pulse when paramedics arrived. Adachi was pronounced dead at 6:54 p.m. The autopsy showed he had a severe blockage of one of his coronary arteries, with several other arteries showing lessor blockages. Dr. Moffatt found evidence Adachi had suffered a heart attack earlier that day, but did not find it a factor in his death. 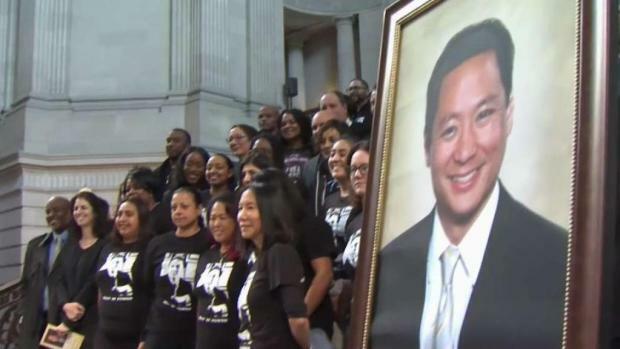 Hundreds of people mourning the death of San Francisco Public Defender Jeff Adachi packed City Hall Monday morning to remember his legacy as the city's first Asian American elected to the position. Sam Brock reports.